Are you searching for diamond beads & strands online? Diamonds in their original form are more pretty in beautiful and nowadays keeping somethings raw is more favorable. Afterall Raw is unique, Raw is new and Raw is Young. So Gemone Diamonds are presenting you with the wide collection of uncut diamond beads. You will get it in a variety of colors and shapes. 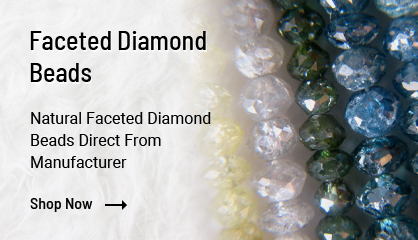 Raw Diamond Beads are used in making art deco jewelry and even for rough diamond jewelry. 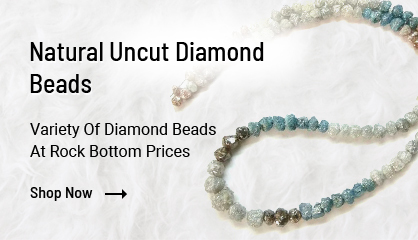 Raw diamond beads are a great choice if you are a nature lover. If you are looking for diamond beads necklace then we have handmade necklaces too. Most of the people are choosing such pieces for their antique jewelry collection. Its just because the antique and unique fashion trend is picking the fire too quick in the fashion industry. Check Out Bellow For What you were looking for or Email us for special orders.